It’s something of an old saw that logistics is understudied, but it is true. Businesses, the public, and even regulators tend to pay little attention to the details of getting products from point A to point B. The Code of Federal Regulations for Food and Drugs Title 21 has many pages dedicated to the application and licensing of drugs, as well as requirements for paperwork, manufacturing, and labeling. It gives very little guidance on pharmaceutical warehouse requirements and design, and offers just one suggestion for warehouse layout, specifying that pharmaceutical warehouses should function on a first-in, first-out basis to prevent drugs from expiring in storage. When it comes to designing a pharmaceutical warehouse and developing storage and retrieval practices, pharmaceuticals corporations and their logistics managers are largely left to their own devices. It is up to them to follow best practices for handling pharmaceuticals and to design warehouses that store and deliver pharmaceuticals safely and accurately. Unfortunately, logistics managers often find themselves making do with older facilities and equipment that aren’t up to the task. Yet there are powerful arguments for ensuring that the design, automation, and equipment used in your pharmaceutical warehouse are carefully chosen and up-to-date. 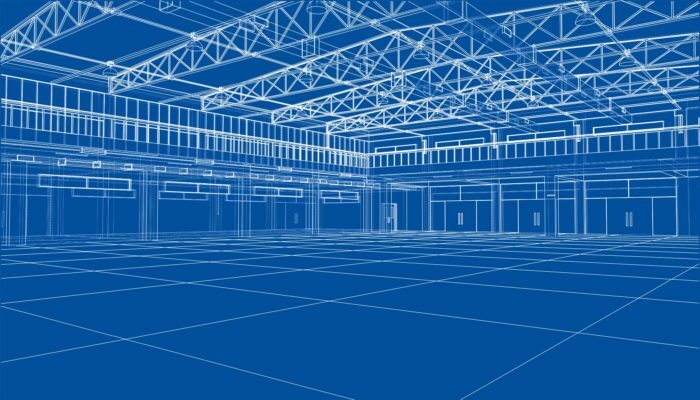 The layout of a warehouse is key to its efficient operation. In developing warehouse or distribution center layouts, pharmaceutical corporations face unique challenges due to the nature of their products. Pharmaceuticals are sensitive not only to external contamination from bacteria or chemicals but also to temperature changes. In some cases, even lighting can damage pharmaceuticals. Pharmaceuticals must also be stored in a way that makes it easy to use a first-in, first-out system and that keeps these critical and expensive products safe from theft and deliberate contamination. These unique requirements mean that many factors need to be considered when setting up a warehouse for pharmaceutical storage. Of the two warehouse layouts, a through warehouse is likely to be the most efficient choice for a warehouse dealing with pharmaceuticals. Linear Design: Since products only travel in a single direction, it’s easier to ensure a first-in/first-out shipping schedule is adhered to. Multiple Channels: Warehouse throughput can be easily divided into multiple channels which all flow one way, creating less potential for picking the wrong item. Discrete Temperature Areas: Different lines of throughput can be designated as temperature-controlled areas or cold storage areas without overlapping with each other. Combined Trips: A forklift can be dispatched to put away a load and retrieve inventory in a single trip since it will be returning to the same location. Cross-Docking: Products that arrive on the loading dock can be instantly shipped out without being put away, or without detailing a fork truck to make a special trip in the case of a rush order. Enhanced Space Control: Since there is only a single entrance and exit to the warehouse, security over the product can be more easily maintained, as can the internal temperature and atmosphere. Of the two warehouse layouts, a through warehouse is likely to be the most efficient choice for a warehouse dealing with pharmaceuticals. The requirement for first-in/first-out shipping is built into the design, and linear product flow makes organization and accurate picking easy. However, through-type warehouses are not a common design. They require access roads at both the input and output ends of the warehouse, while the majority of warehouses are built with a single entry point. However, certain storage and retrieval practices can bring linear throughput inside the warehouse regardless of the external form. Pallet racks are one way to make your warehouse’s layout more efficient. By improving cube utilization in the warehouse, pallet racks maximize the amount of product that your warehouse can hold. Combining these racks with a pallet mole—also known as a pallet shuttle—allows pharmaceutical warehouses to do away with aisles entirely. This is a relatively simple and inexpensive form of automation that operates entirely on a linear basis. With a pallet mole system, the first load placed in the racks is the first load that is picked to ship out. Discrete Channels: Each row in a pallet rack can be used for a designated pharmaceutical, allowing for a multichannel warehouse with minimal chance of cross-purpose work. 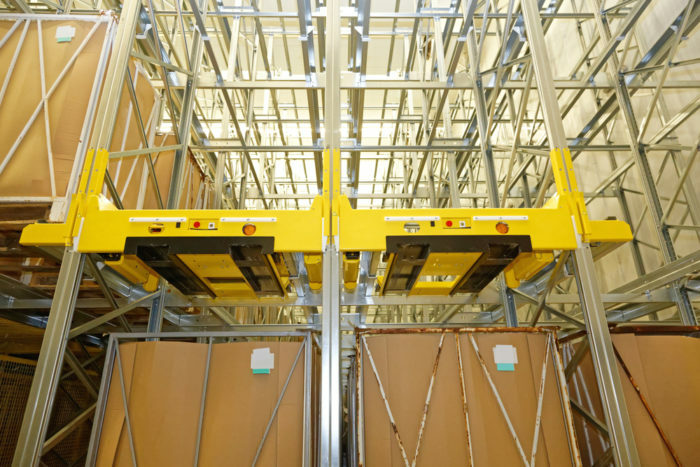 Temperature Zones: A pallet rack and shuttle system can be placed in each temperature zone, bringing maximized volumes and efficient linear flow to all parts of the warehouse. Combined Movements: A forklift can be detailed to input product into the storage system at one side and pick product on the output side as in a U-shaped layout. In this configuration, since linear movement is confined to storage and retrieval areas and the warehouse still has a single loading and unloading point, it’s possible to retain greater control of warehouse security as well as the ability to cross-dock. In this way, a pallet rack with pallet mole setup brings together the best of both warehouse layouts. The reliability of plastic is key to keeping automation functioning smoothly without interruptions or product damage. It does, however, have one great disadvantage. If something goes wrong deep within the racks, it can be costly and time-consuming to remove all product from the affected channels, clear the problem, and replace the items. In other words, getting the most out of supply chain automation means taking care to only use strong and reliable equipment. For this reason, warehouse automation demands plastic pallets. Unlike wood, plastic shipping platforms have consistent weights, dimensions, and strength. The reliability of plastic is key to keeping automation functioning smoothly without interruptions or product damage. Plastic pallets can also be washed and sanitized before being put to use, helping to keep pharmaceuticals and the supply chain equipment that handles them–like racks and pallet moles–free from contamination. Pharmaceutical warehouse requirements may be determined primarily by pharmaceutical companies themselves, but using plastic pallets, they can set that bar high. The iGPS pallet pool provides a lightweight rental plastic pallet that maintains the highest standards of hygiene and is optimized for use in automated systems. To switch to the market-leading plastic pallet, give our team a call at 1-800-884-0225, email a specialist at switch@igps.net, or visit our contact page. iGPS is dedicated to being the industry leader of innovative, world-class supply chain solutions leveraging sustainable, intelligent shipping platforms while achieving unmatched value for our customers, investors, and employees.